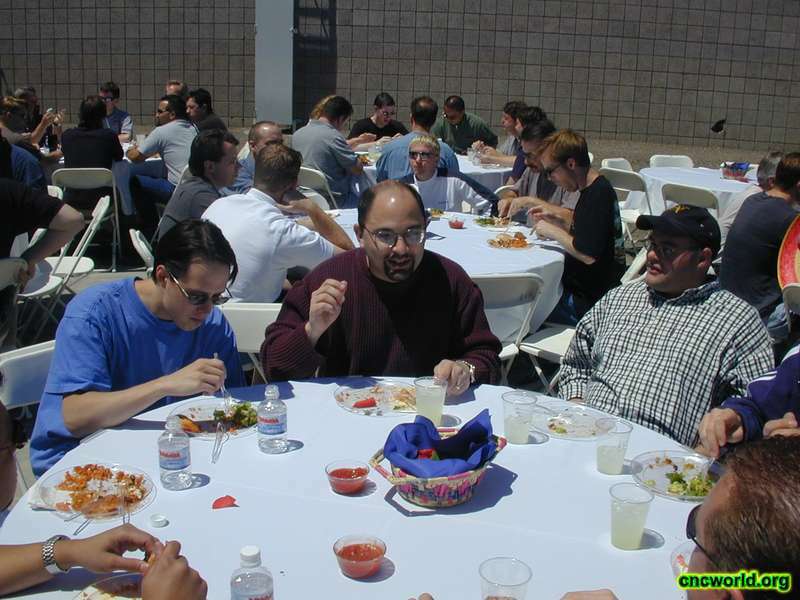 Another photo from the Westwood Cinco De Mayo party in 2001. Dark shirt, glasses - no clue. QA? Blond hair and hands - no clue.